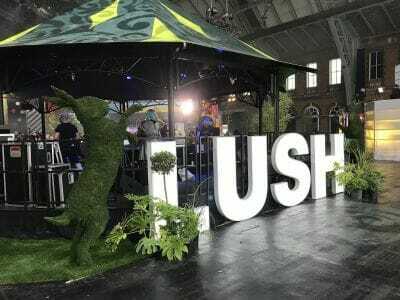 This week we were lucky enough to be invited to the Lush showcase event in Manchester. Primarily focused on engaging Lush employees, they invite every manager from every store across the world to a spectacular event celebrating everything lush about Lush. It’s a cross between Alice in Wonderland and Charlie & the Chocolate Factory.